Pamlico Sound, Kitty Hawk Bay to Albemarle Sound, the Dismal Swamp Canal and Norfolk, Va. — and then the whole of the Bay to play in. 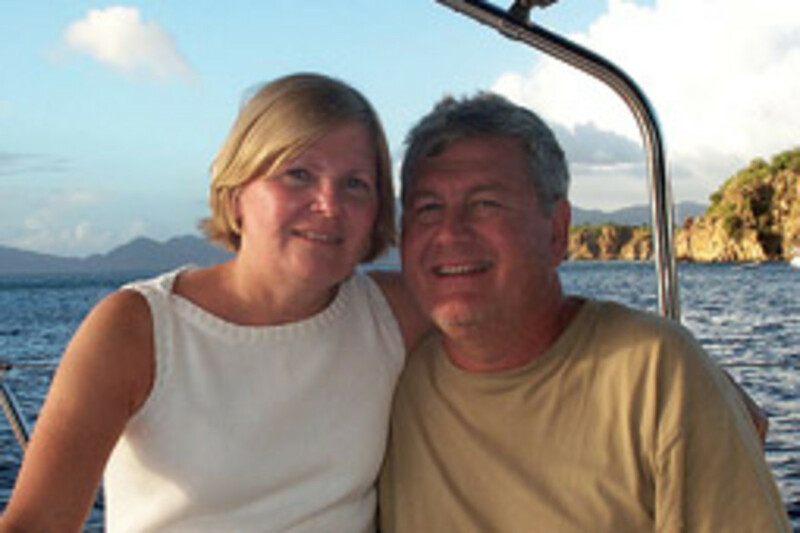 Karl and Elaine Mielenhausen call their 2008 odyssey “an excellent adventure.” It was just what they had in mind when they bought their 2000 Catalina 320 in 2005, hull No. 690 of the popular design (more than 1,200 built). 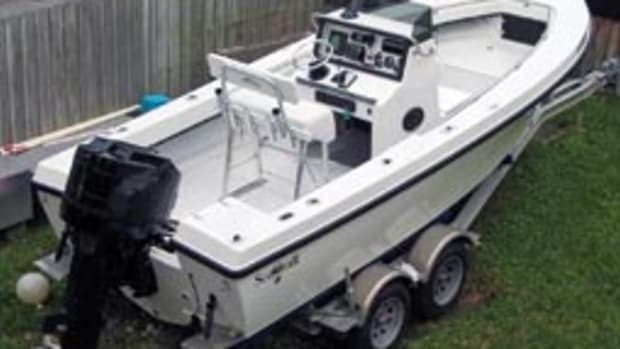 They used Yachtworld.com and other Internet sources to compare used models, focusing on boats that were about 5 years old and looking at about a half-dozen in various East Coast locations. “Broken in, but with significant life left on the canvas, rigging and systems,” says Mielenhausen. Along the way he put together a database of feature changes during the years of production, as well as typical problems to look for. On the water, the 320 proved a stable, steady sailer. 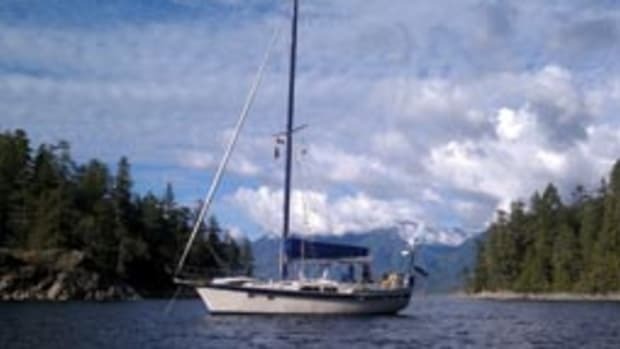 The couple sail under mainsail and 135 percent genoa in up to 18- or 20-knot winds before reefing. “It seems to like to sail best when heeled around 15 degrees,” says Mielenhausen. “It’s very sensitive to traveler position in light air, and you can use it carefully to power up or depower in the gusts and heavier air.” Auxiliary power comes from a 27-hp Yanmar 3GM, and Silver Lining cruises at a little more than 6 knots at 3,000 rpm. Fuel burn is less than a gallon an hour. 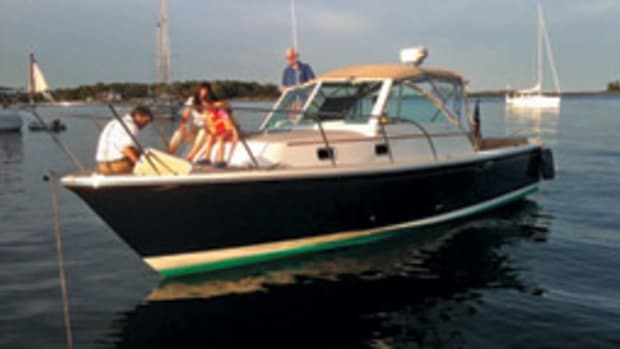 The Catalina 320 hull is a modern cruising shape with round bilges and not much wetted surface. 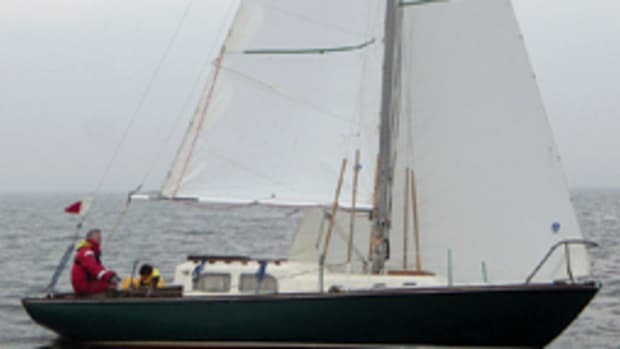 It comes with either a fin or wing keel matched to a spade rudder, and the masthead sloop rig uses a high-aspect mainsail and 135 percent genoa. Her ample beam and freeboard contribute to stability and interior volume. The boat sleeps up to seven, and the cabin layout starts with a master stateroom aft with a berth for two. 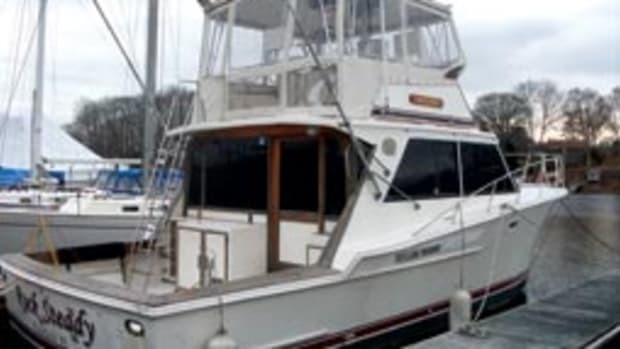 The U-shaped galley is at the foot of the companionway, and equipment includes a multiburner stovetop, refrigerator and a double sink. 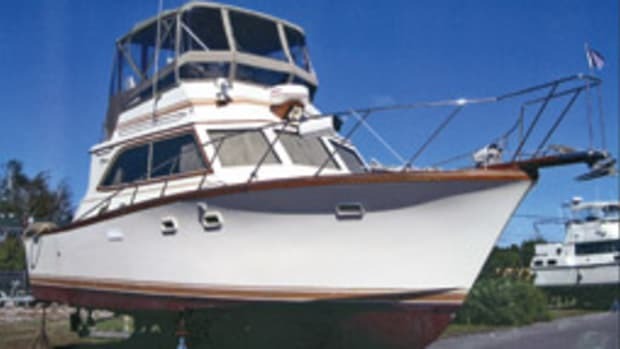 The head compartment is to starboard and comes with a sink, shower and marine head. Catalina Yachts was founded in 1969 when the California-built Catalina 22 made its debut at a West Coast boat show. 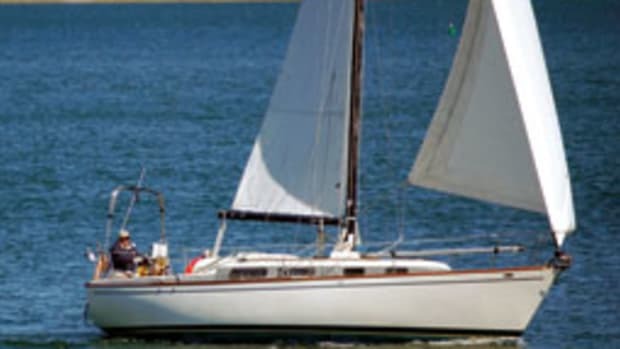 The capable, affordable sailboat was a hit and quickly established a reputation for what designer/founder Frank Butler called “good boats … for good value.” By 1975, 5,000 of the 22s had been built. 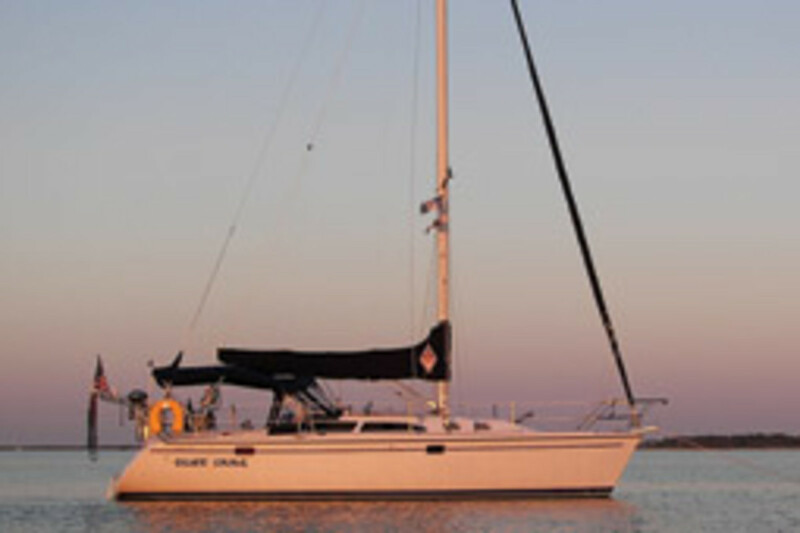 Other popular, trendsetting designs followed, including the Catalina 27 and 30. 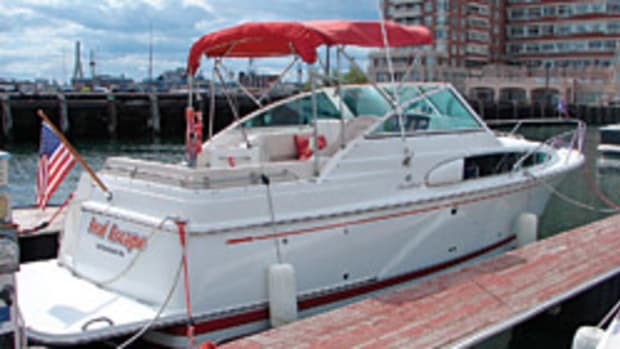 The Catalina 320 came out in 1993, and by 2004 more than 1,000 had been sold. Today, Catalina builds more than 20 models of sailboats, from the 8-foot Sabot to 47-foot ocean cruisers. 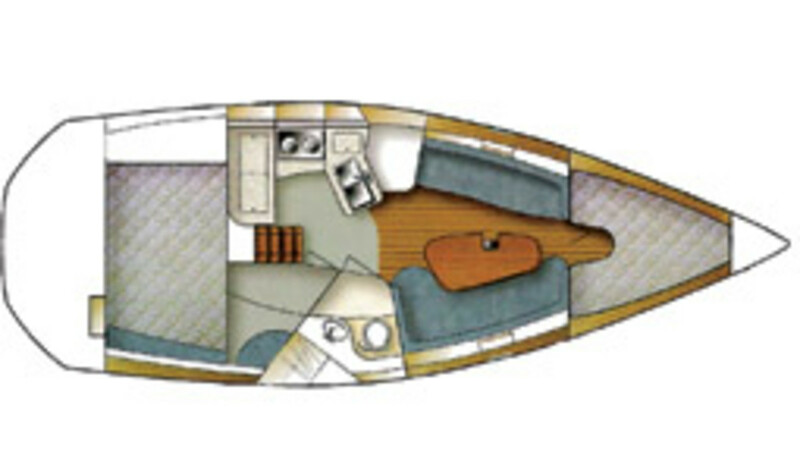 The original Catalina 320 has been upgraded as the 320 MkII, with almost 2 more feet of length and more amenities. BUILDER: Catalina Yachts, Woodland Hills, Calif.
Click here to find more Catalina Yachts.